Show off your professionalism with a personalized high-quality name badge with magnetic backing (3" L. x 2" H.) that includes ALCA Member Logo. FOR PURCHASE BY MEMBERS ONLY - Login for Pricing. This digital version includes two customizable PowerPoint presentations that will help you market your business. 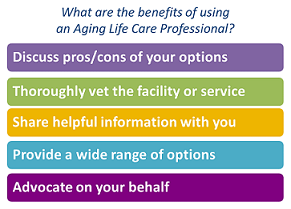 Each presentation outlines the services and expertise of an Aging Life Care Professional. One is geared for the layperson and the other is for presenting to other professionals. MEMBER ONLY: Mktg PPT "Where to Turn When Parent Needs Help"
FOR PURCHASE BY MEMBERS ONLY - Login for Pricing. Whether you’re a veteran in the field or just getting started, the ALCA Forms Book is for you -- with more than 100 forms in electronic download format covering topics such as Assessment, Intake, Money Management, Conservatorship, Mental Status, Agreement for Services, and more. 2014 Conference General Session - Charla Long: Too often, geriatric care managers can get caught up in the daily demands of the job and forget the reason for pursuing their chosen career. Dr. Charla Long will share inspiring stories and offer six strategies for helping you to embrace your commitment and spread your compassion for serving those in need. Note: Sign in to view member/non-member pricing. Please be sure to select '1' for quantity. 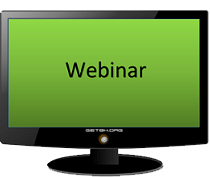 This presentation examines how care managers can ally with the forces of transformation and help energize elders to engage in living freshly.Note: Sign in to view member/non-member pricing. Please be sure to select '1' for quantity.